Get directions to Buchanan Auto Park, Inc. Welcome to Buchanan Auto Park, Inc., home of the original Lowest Price Guarantee! At Buchanan Auto Park, Inc., you’ll always find the lowest price on new and used RAM, Dodge, Chrysler, and JEEP in the Hagerstown area, or we’ll pay you $1,000. Use these Dealership Directions to make your way to our showroom, or call us at 717-788-4580 with any questions! We serve the following areas and towns: Waynesboro, Gettysburg, Hagerstown, Chambersburg, Greencastle, Fairfeld, Franklin County, Cashtown, South Mountain, Shippensburg, Thurmont, Carlisle, Antrim Township, and beyond! At Buchanan Auto Park, Inc., our Chrysler Certified Sales Team and staff take a great deal of pride in providing our customers with better selection, better prices, better customer service, and an overall better buying experience. If you’re looking for a quality new vehicle at a reasonable price, look no further than Buchanan Auto Park’s selection of new RAM Chrysler, Jeep, and Dodge models. Browse our current selection of new inventory includes the Jeep Renegade, Town & Country, 300, Wrangler, Ram and Caliber. You’ll discover plenty of vehicles to choose from, so no matter the type of automobile you’re looking for we have something to fit your needs. Call us and speak to a friendly salesperson today! Searching for a used car in Waynesboro? Start and end your search with Buchanan Auto Park, Inc. and save thousands. With a huge selection of low-priced, high-quality vehicles, we are certain that we can locate a used car that suits your taste. Our greater Hagerstown, MD used car inventory has cars, trucks, SUVs and vans by many of today’s top automakers. If you have not been able to locate a specific new or used car, we are at your service. Complete our no-obligation CarFinder form and we will alert you by email when a matching vehicle arrives at our Hagerstown area Chrysler, Jeep, and Dodge dealership. 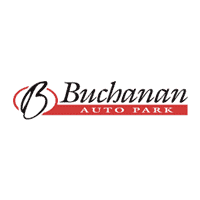 Buchanan Auto Park, Inc. offers a variety of automotive services at one convenient location. Are you wondering how you are going to pay for your new vehicle purchase? Visit our finance department where our financial professionals will review the various car loan and lease options that are available on the vehicle you are interested in purchasing. By working with a variety of financial institutions, we are the Chrysler, Dodge and Jeep dealership that will get you a low interest car loan near Hagerstown, MD. Fill out the Buchanan Auto Park finance application and begin the car loan process from the comfort of your own home. Get professional Chrysler, Jeep, and Dodge car repair at Buchanan Auto Park, Inc.’s state of the art service facility. The Buchanan Auto Park car repair experts will correctly identify your vehicle’s problem and make a repair as quickly as possible. Schedule Chrysler, Jeep, and Dodge car repair in Waynesboro by completing our online service application. Buchanan Auto Park, Inc. offers a complete inventory of Chrysler, Jeep, and Dodge car parts to repair your car, truck or SUV. These authentic car parts will keep your vehicle running at peak performance for many years to come. We proudly serve the following areas with quality automotive services – Waynesboro, Chambersburg, Hagerstown, Greencastle, Franklin County, and beyond. Are you in search of a Jeep, RAM, Chrysler, or Dodge dealer near your home? Stop into the Buchanan Auto Park, Inc. showroom at 11194 Buchanan Trail East in Waynesboro today and discover what so many of your neighbors already know – when you’re looking for the lowest price on a new or used RAM, Dodge, Chrysler, or JEEP, Buchanan is better!